Programming Activities Council | Colorado Mesa Univ. The Programming Activities Council is a student-run organization which provides high-quality entertainment to enrich the lives of students outside the classroom. This organization collaborates with other Colorado Mesa University organizations in assisting and enhancing programs. 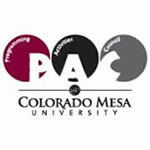 PAC provides educational opportunities for students to gain experience in advertising and implementing programs for the Colorado Mesa University community. PAC members plan many of the fun campus events you enjoy! Are you a member of another club or organization on campus? PAC collaborates with campus groups to plan events once a month! Stop by the PAC office in the University Center or call us at 970.248.1750 if you have any questions or ideas! For an updated list of PAC events, please visit their OrgSync Page! Fun activity the second Wednesday of every month! Every third Thursday, PAC hosts Pub Night at local bars! Serving on the Programming Activities Council is an excellent way of developing skills in marketing, budgeting, event planning, organization, and teamwork. This experience is invaluable when interviewing for jobs after graduation!